Established in 1995, Nova Scotia Honour Jazz provides students the opportunity to study and perform in ensembles with top jazz performers in the region. Many Honour Jazz alumni have gone on to study in leading university music programs across North America. Several graduates have also returned as instructors and guest clinicians. Honour Jazz meets for three intensive weekend session each year throughout central Nova Scotia, where students play in groups and receive master classes on their particular instruments. They also participate in fun activities, and can stay with local billets. It is not necessary to know any jazz, all students are placed in groups based on their ability and their interests. 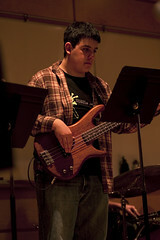 Groups, organized by playing level (Junior, Intermediate and Senior) include combos and big bands. 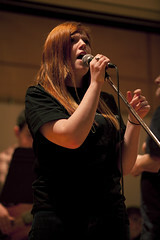 Vocalists have the opportunity to sing in the Vocal Ensemble and with one of the bands.